Written by dewpoint on March 9, 2015 . Posted in On Point Blogs. Despite security measures taken, disasters will inevitably happen. Whether natural (earthquakes, floods, hurricanes) or man-made (faulty servers, malicious hacker attacks), these events can throw a business into panic mode or worse: drive revenue down. Still think your business is safe? How will you respond if your operations are disrupted? How will this affect your customers, partners and revenue? Simply put, Disaster Recovery (DR) is the process in which a business implements a disaster recovery plan that allows it to function after a disaster and aims to return operations to normal. Businesses large and small should consider implementing a Disaster Recovery Plan, which should be developed along with a business continuity plan i.e. a strategy to keep your operations up and running. An initial step of developing a Disaster Recovery Plan should involve the analysis and assessment of the disaster cause and effects. Businesses should identify these risks then rank them in terms of priority and likelihood. Though the process takes time, the identification stage is crucial in creating a risk assessment of the all the potential threats – natural or human-implemented. Roles and responsibilities must be allocated and clearly defined when a disaster disrupts an organization. Key stakeholders include management, IT, finance, operations, vendor management, security as well as other vital departments. A Disaster Recovery team is necessary to define, develop and executive the Disaster Recovery Plan. Trusting the technology to do its job and leaving it alone is not a full-safe plan; in fact, it could bring some catastrophic results. It’s recommended you continually test your Disaster Recovery Plan. Testing at the user level and conducting periodic mock drills should be a part of your plan. Though there might be a dedicated team or even a specific technology partner for Disaster Recovery, all departments should be familiar with the Disaster Recovery Plan. “Every person in an organization needs to be concerned with business continuity and disaster recovery. IT and high level executives need to make the analysis and testing an institutional process so that they are prepared in the event of a disaster,” according to Jeff Ott. But what about organizations that lack the resources (staff, time, technology) to create and maintain a Disaster Recovery Plan? These companies should consider teaming up with a technology partner who can provide disaster recovery services. Companies who specialize in disaster recovery services can offer a simple solution or develop a highly customized plan to fit your business goals. “Technology advances of the past few years have provided many options for disaster recovery partners. Disaster Recovery as a Service (DRaaS) and Disaster Recovery in the Cloud capabilities have been established and can be utilized by many organizations,” adds Jeff Ott. 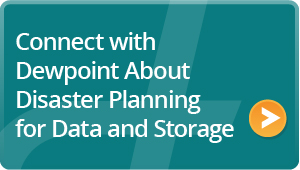 A dedicated technology partner can be vital for you (and potentially, your clients) to assess critical data when a disaster occurs. 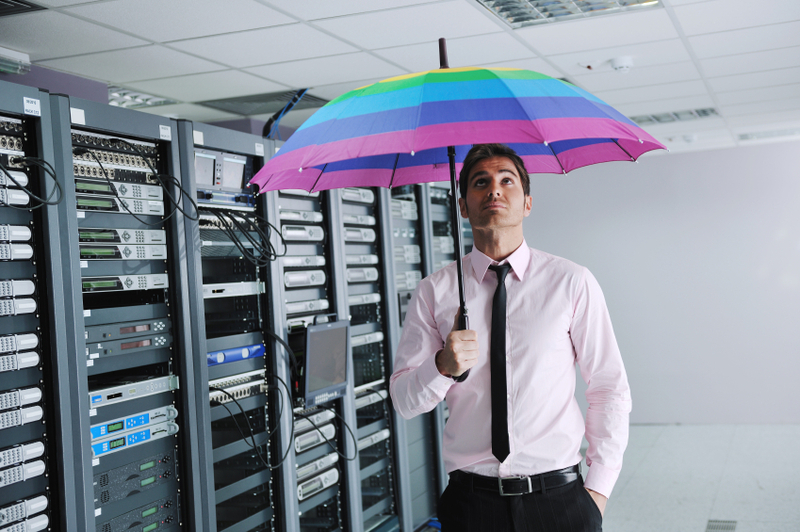 Overall, Disaster Recovery is about being prepared and planning. It’s better to be paranoid of disasters now then scramble when the unpredictable happens. Is your business prepared to recover from disaster? Dewpoint can help to develop a disaster recovery plan that will meet your organizational goals, by working with technology that will enable the isolation of critical applications. The first consultation is free! Click the button below to learn more.